Deep Purple are an English rock band formed in Hertford in 1968. They are considered to be among the pioneers of heavy metal and modern hard rock, although some band members claimed that their music cannot be categorised as belonging to any one genre. They were once listed by the Guinness Book of World Records as "the globe's loudest band", and have sold over 100 million albums worldwide, including 7.5 million certified units in the North America. Deep Purple were ranked number 22 on VH1's Greatest Artists of Hard Rock programme. The band has gone through many line-up changes and an eight-year hiatus (1976–84). The 1968–76 line-ups are commonly labelled Mark I, II, III and IV. Their second and most commercially successful line-up was led by Ian Gillan (vocals) and Ritchie Blackmore (guitar). This line-up was active from 1969 to 1973, and was revived from 1984 to 1989, and again from 1992 to 1993. The band achieved more modest success in the intervening periods between 1968 and 1969 with the line-up including Rod Evans (vocals), between 1973 and 1976 with the line-up including David Coverdale (vocals), and between 1989 and 1992 with the line-up including Joe Lynn Turner (vocals). 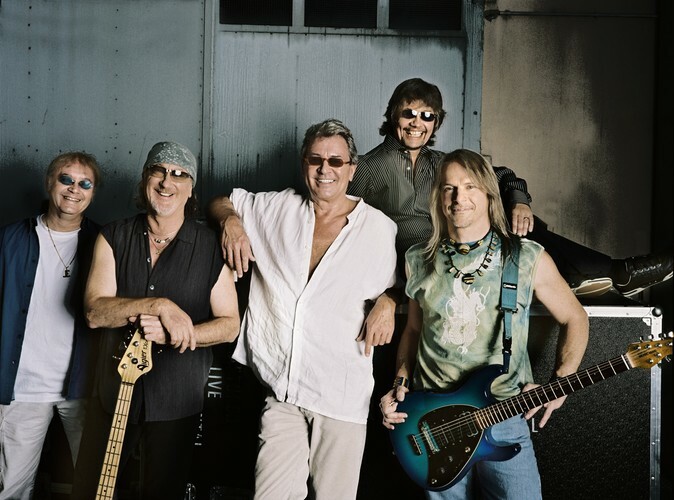 The current line-up (featuring Ian Gillan, and guitarist Steve Morse from 1994) follows much longer, although organist Jon Lord's retirement from the band in 2002 has left Ian Paice (drums) as the only original Deep Purple member still in the band. At the 2011 Classic Rock Awards in London, they received the Innovator Award. As of October 2012, Deep Purple are nominated for a Rock and Roll Hall of Fame induction in 2013.